Quick nail post! I love this Zoya matte polish in “Posh,” because it’s not totally flat – it has this interesting velvety finish. I did a terrible job around my cuticles because I was painting my nails in the dark by this sad little lamp while my husband was asleep, LOL! 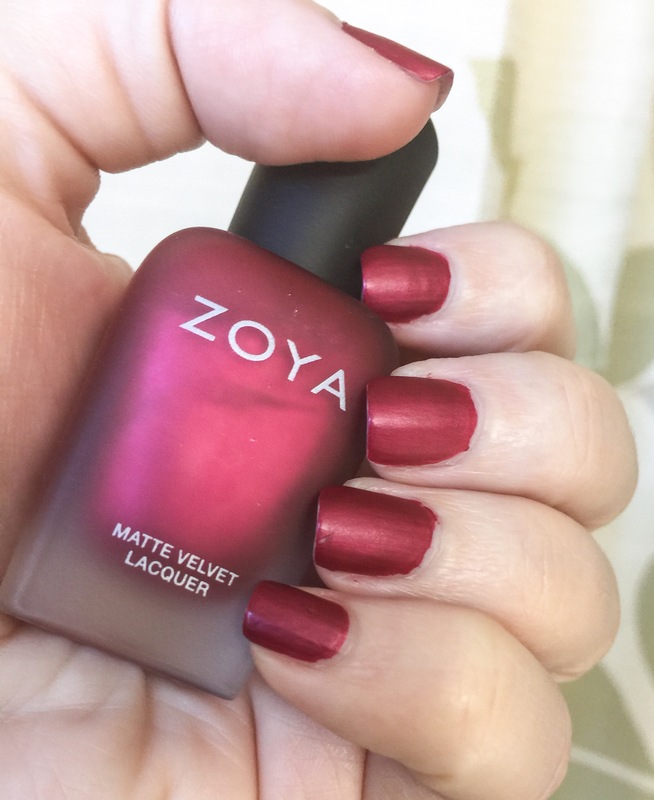 This entry was posted in beauty blog, beauty blogger, Nailpolish, Nails and tagged beauty, beauty blog, beauty bloogger, holiday nails, matte nail polish, matte nails, nail blog, nail laquer, nail polish, nails, red nails, zoya, zoya nail polish by Rachel. Bookmark the permalink.